Open Forum hosted by CEC. Dean Richard W. Wlezien will give updates to faculty and staff on the college. The forum will be noon-1 p.m. 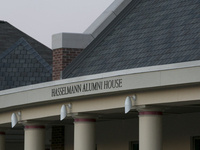 Follow-up discussions will be 4-5 p.m. at the alumni house.